Here is a preserved specimen of a female Carcharhinus obsolerus, collected in Bangkok. This is the holotype, which is the single specimen scientists used to describe the new scientific name Carcharhinus obsolerus. In 1934, a scientist called H. Rutherfurd collected a new shark specimen in Ho Chi Minh city, Vietnam. Rutherfurd could not have known it then, but he had just collected the last known example of a species which now appears to have been lost to science. Rutherfurd’s specimen was an embryo, which may be why it took some time before anyone noticed that it wasn’t exactly like any of the species it was presumed to be. In the last 80 years scientists have linked Rutherfurd’s shark specimen to two other specimens found in museum collections, but there has been some debate as to whether or not these three specimens are, in fact, a new species. Together with Dr Peter Kyne of Charles Darwin University and Dr Mark Harris of F.F.C. Elasmobranch Studies, Florida, we have now concluded that this shark is indeed a new species, which may have already been lost to overfishing. We proposed a new scientific name for the species: Carcharhinus obsolerus. The Latin word obsolerus means extinct. Its proposed common name is equally downcast: the Lost Shark. Scientists identify and differentiate species by taking measurements of different body parts as shown here. 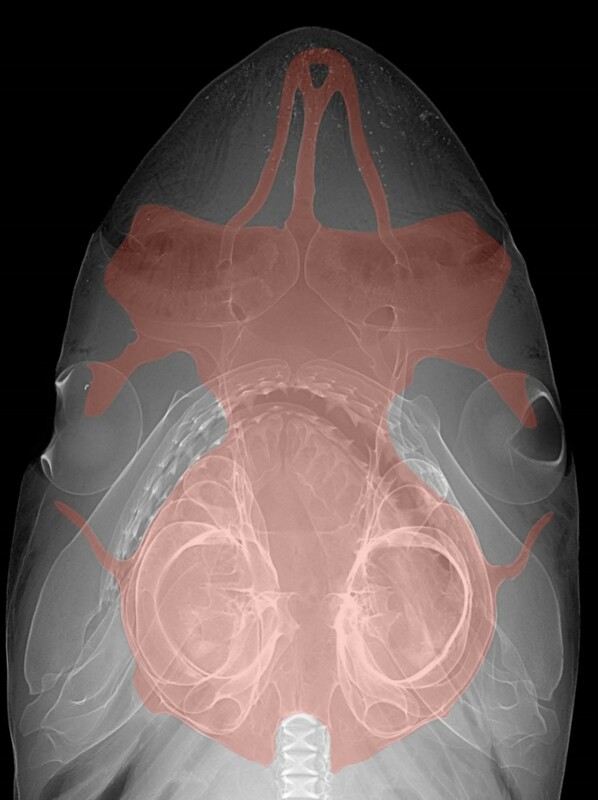 Radiograph images like this, in which the lost shark’s skull is highlighted in red, are used by scientists to identify and differentiate species. Is it still out there? There have been no new sightings of the Lost Shark since 1934 and extensive searches of museum collections found only the three specimens mentioned. If it were not for these museum collections, we would have no records of this species. Shark skin is covered in tiny structures called denticles, which actually have the same basic structure as teeth. 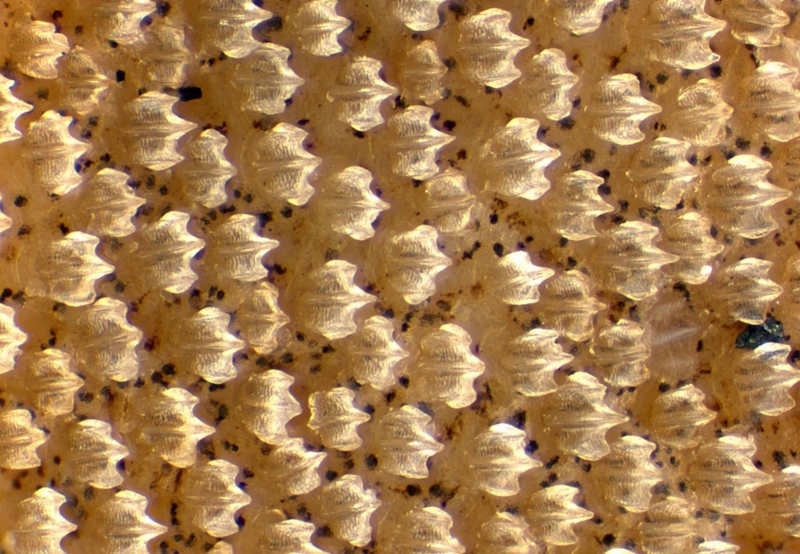 The image here is of the lost shark’s denticles, which were used to identify and describe the species. Our Senior Curator of the Australian National Fish Collection, Dr William White is not optimistic that the species is still around today, particularly considering there have been no new records of it since 1934. The Lost Shark lived in shallow coastal waters off the coast of South-East Asia, around Vietnam, Malaysia and Thailand. Understanding the ecology of this environment and this species is vital to preserving local ecosystems, which are some of the most threatened and overfished in the world. Scientists looking for new species or new sightings often check local fish markets for specimens. In 2004 this strategy paid off, when scientists rediscovered the Lost Shark’s closest relative, the Borneo Shark, Carcharhinus borneensis. This shark had also been lost to science since the 1930s and some have considered whether it could now be extinct. 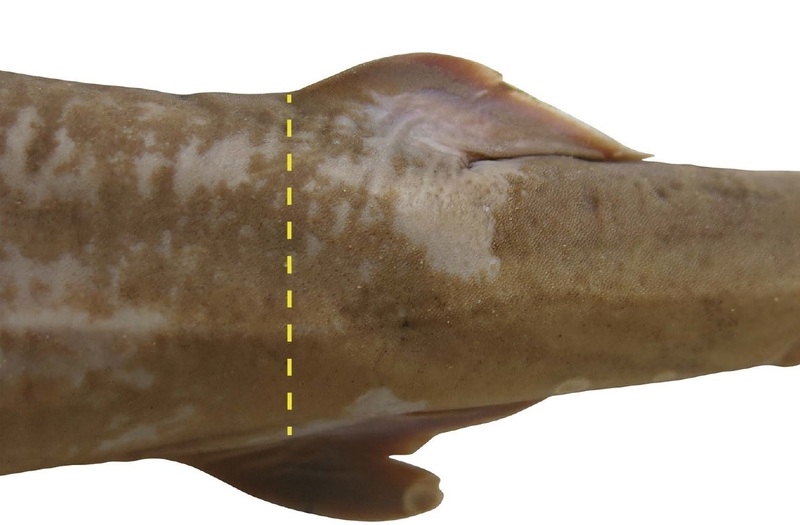 Unfortunately for the Lost Shark, dedicated fisheries and port-based surveys in the South-East Asian region and new molecular techniques have failed to find any further evidence of this species’ existence.